Kitchen Lighting Design – A good lighting is what your kitchen needs. A kitchen is one crucial part of a house. It’s considered as the busiest room inside a house. Family members like to hang around the kitchen. They may do the kitchen activity such as cooking or preparing a meal. Or, they may be just going to the kitchen to have some food. All of the elements inside the kitchen are important. The one we’re gonna talk about on this page is the lighting. You need to get the perfect and suitable kitchen lighting design ideas for your kitchen. There are many sources you can visit to inspire you about your kitchen lighting. Even though it’s only a small part of a kitchen, it should be some you should well plan before applying. Maybe, you might think that installing lighting is as simple as slapping up a fluorescent ceiling fixture. No, it’s actually more than that. There are things you need to pay attention to get some perfect kitchen lighting ideas for your house. by paying attention to the detail of the lighting design, it would improve the kitchen atmosphere. Your kitchen would become the main entertaining spaces in the house. We all know that the main function of the kitchen is cooking. It’s the most important activity in a house. So, we need to treat the cook well and have a great meal after. Installing the right amount of lighting would give certain levels of brightness depending on the needs. If your kitchen is small, you will need set the brighter lighting to make it feel larger. The right lighting would also alter its mood and feel dramatical. From that, the ideal ambiance will be all around the room. A Home designers tend to consider a lighting as the last part of the design plan. For the kitchen, it shouldn’t be the last consideration. The kitchen lighting design ideas should be planned and lit properly. The planning stage is the key to update your lighting scheme. So, make sure the kitchen lighting is planned for the first times. 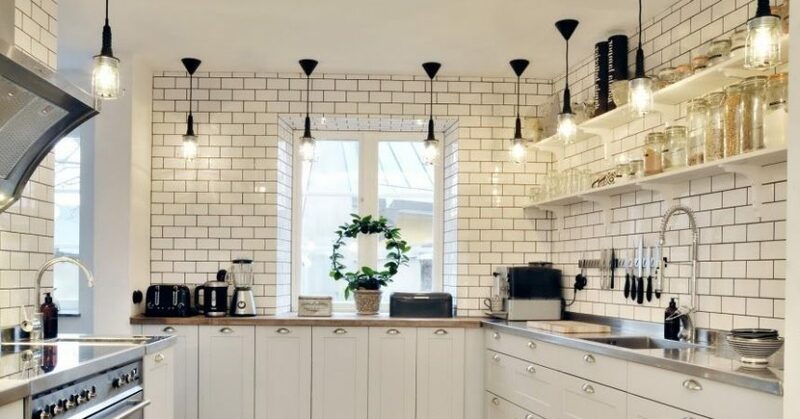 There are two elements you have to know considering a good kitchen lighting system: A task lighting for safe preparation and cooking, and ambient lighting to set drama or mood. 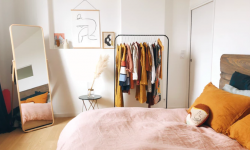 The placement of the lighting should also be something you need to plan. There are three levels of lighting in the kitchen, the recessed lights, under-cabinet strip lights, and a pendant lighting. The amount of watt for the lamp should be based on the space. Typically, home designers use LED lamps and incandescents. The other crucial thing you have to consider when designing a kitchen is the comfort and functionality. The functional and comfortable feeling needs to be tied together with the right lighting design for your kitchen. There are 23 kitchen lighting design ideas on this page you would gladly to see. All of them are ready to be explored. These ideas are ideal for any stylish kitchen. They are ready to bring coziness to your kitchen and make them far more impressive than before. 12 Inspirational DIY Picture Frame Ideas, Making Yours Like Never Before!